My passion for education and its promise of lifelong opportunity began while I was growing up in Alexandria, Virginia. I would spend my Saturdays sitting in my mother’s Greek language class at our church, watching her teach. I would promptly go home and conduct my own class with my stuffed animals all in line. The oldest daughter of Greek immigrants, my parents consistently stressed the importance of a high-quality education. I understood from an early age that a strong education would open up doors and opportunities for me as an adult. As a student whose first language was not English, I had to navigate the world of two cultures and languages, as so many of our students must do today. 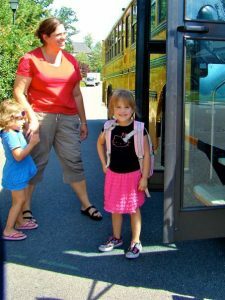 These early experiences sparked my passion in education and I have devoted myself since to making sure NOTHING stands in the way of a child and their opportunity and success in school. After high school graduation, I pursued a degree in Government & Politics at George Mason University and completed it within 3 years. During this time, I worked and pursued scholarships to pay for my schooling. I began substitute teaching in Fairfax County Public Schools, in the Sully District. I earned a Masters of Ed. in Multicultural & Multilingual Education, I was certified as an ESOL teacher and I began teaching full time. My husband and I chose Centreville to be our home in 2001 because of its wonderful schools and we are now raising our 6 incredible children there. 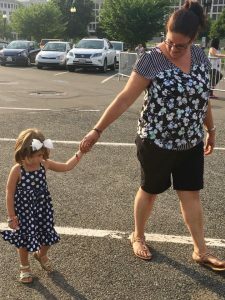 While I took a break from the full-time classroom to raise my children and co-found a family air charter business, I never took a break from helping children and families. I tutored privately, sporadically substitute taught, and dedicated myself to the community through volunteer work. I served as my HOA President, President of several PTAs in the Sully district, taught adult ESOL classes, worked with underserved youth through Cornerstones, and serve as an advisory board member to BRAWS (Bringing Resources to Aid Women’s Shelters). I am currently the President of Rocky Run PTA, the VP of Outreach for Fairfax County Council PTA, a member of the NAACP Education committee, the At-Large appointee to the Fairfax County Schools Student Health Advisory Committee, and the Sully district appointee on the Fairfax County Public Library Board of Trustees. 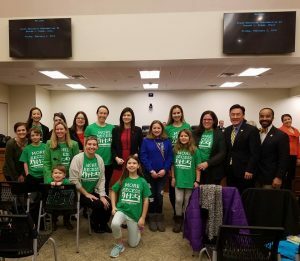 Last year, I was proud to be one of the parent leader advocates of More Recess for Virginians who successfully lobbied our state legislators to change the law that prohibited localities from providing developmentally adequate recess for our children. As co-owner, I also run the daily operations of Skyway Air Taxi, an air charter company based in Manassas.